Automated external defibrillator (AED) is a portable device. It can deliver electric shocks to the heart, via the AED pads which are attached to the chest wall. The controlled electric shock can potentially stop the heart arrhythmia (i.e. irregular heartbeat), and bring the heartbeat back to normal following the episode of sudden cardiac arrest (SCA). The heart rhythm needs to be restored to normal as soon as possible. If not, the victim’s chance of survival drops by 7 to 10% per minute. In addition, use of AED within the first three minutes of SCA can increase the survival rate by more than 80%. 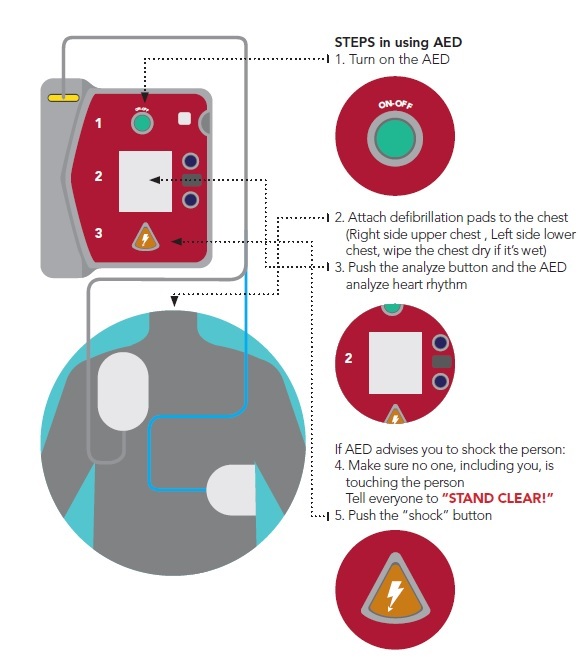 The AED device provides the step-by-step instruction to the rescuer. An incorporated computer analyses a victim’s heart rhythm through AED pads attached on victim’s chest wall. The computer decides whether defibrillation is needed or not. 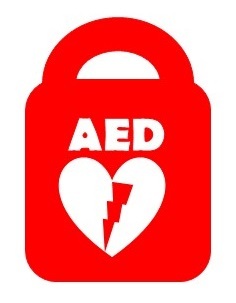 The AED advises a shock when there is ventricular fibrillation (VF) or fast ventricular tachycardia (VT). The controlled electric shock is delivered through the AED pads over the victim’s chest. This shock temporarily stops all activities of the heart for a very short time. It allows the heart to resume normal rhythm and beating effectively. If a second rescuer is present, he /she can help to attach AED pads while the first rescuer is performing CPR.